COME CHECK OUT THE HOT STUFF WE HAVE IN FOR VALENTINE'S DAY. AVAILABLE FOR PICK OR DELIVERY TO SEATTLE AND SURROUNDING AREAS. THREE SPUN BOUQUETS PUT TOGETHER IN A WHITE VASE. AVAILABLE WITH HOT PINK, DEEP RED OR CREAMY WHITE ROSES. Welcome to the new Poppies Blog. 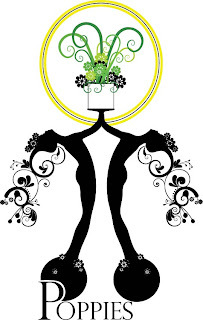 Check here often to see the fun things we are up to. 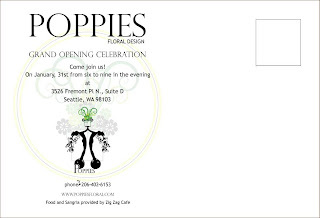 Poppies will be opening the new floral boutique on Thursday, January 15th from 10am-6pm. Our grand opening party will be on Jan.31st.